In 2009, Dan Davis started a new blog called Vintage Portland that grew to become a very popular site for a community of people interested in Portland’s history. The City of Portland Archives & Records Center (PARC) is not only a fan of Vintage Portland, we’ve also been quiet collaborators. Dan approached us in 2009 because he was interested in using some of our photos he found in Efiles, our online database. We were delighted to work with Dan as a way to showcase many of the City’s photographs. Our collaboration continued when we approached Dan (and this great community) for help in identifying some of our “mystery” images. PARC has enjoyed our association with Dan and the Vintage Portland community; and while we are sad that Dan has decided to move away from managing the site, we’re also very excited that Dan has asked us to take over the Vintage Portland site! As of June 23, 2013, PARC will begin administering the Vintage Portland blog and other social media platforms. We are thrilled by the opportunity to continue to engage Vintage Portland followers by featuring the City’s extensive collection of photos. 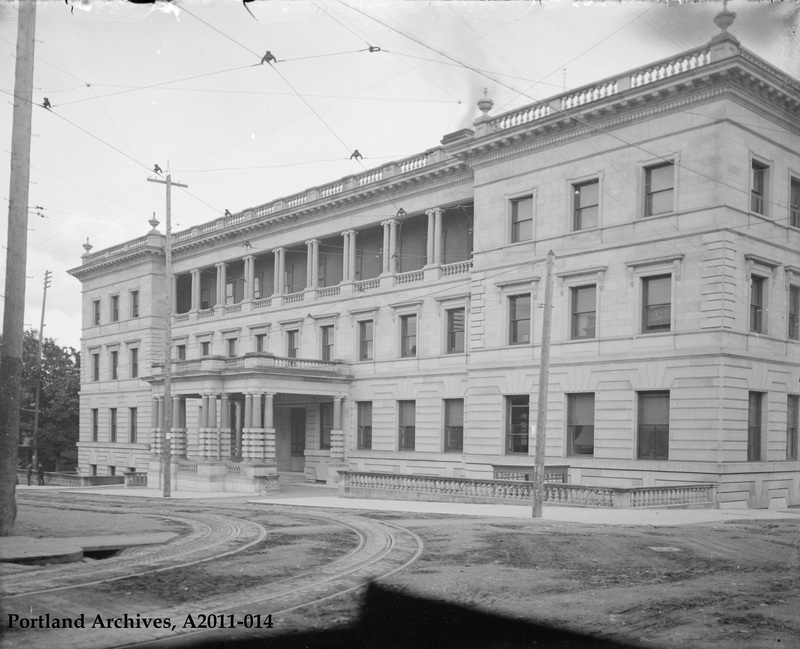 We also plan on inviting other institutions to share some of their photos because there is a rich visual history of Portland held within many local archives. There will be a few changes to the site, mostly cosmetic and procedural. Please let us know if you have any questions about the transition or about the collections in general. Many thanks to Dan and this incredible community he has helped create! We are looking forward to continuing the tradition. Happy to see this post! I look forward to the future of Vintage Portland while I sometimes will look back into the archives created by Dan. Portlanders (and others) are really lucky to have this coordinated effort with PARC and Dan, and this creates an invaluable resource of the past for the future. I can’t wait to see what treasures are still hiding in those archives. Thank you PARC and of course Dan Davis! Thank you so much! I’ve been enjoying this blog for some time, I appreciate your continuing it! Have always loved this blog. Thank you! Thanks for picking up and carrying on PARC! It looks like wood planks are laid over the gutter from curb to street in the lower left corner. In fact it looks like the sidewalks may be plank also. I wonder if one of those gentlemen on the far left was Mayor Harry Lane. Thank you for continuing this blog. Glad y’all are continuing this awesome blog!! Thank you Dan! So glad this site didn’t just suddenly disappear! Thanks for continuing the site and good to see Dan around these parts. Hey, if it isn’t too much to ask can you fit in some photos of the Lloyd Center/Coliseum area before and after the mall went in. I grew up in the area and I love to see how the area has changed through the years. Thanks for carrying on! Part of my morning routine after getting to work (for the City of Portland, too), is opening my email and looking at the newest post or reading the comments from previous posts. Jefferson, a great picture, thanks.